In between trips (because summer is all about travel, right? ), I’ve been working in my new library to get ready for next school year. In addition to weeding and genrefying the fiction collection, I also had a few aesthetic projects in mind. I feel like there has to be some visible change in a space to get students excited about other changes. Back in 2010 I did some mid-year updates at the old CMS and summer of 2012 was a decorating frenzy as we moved into the new CMS. 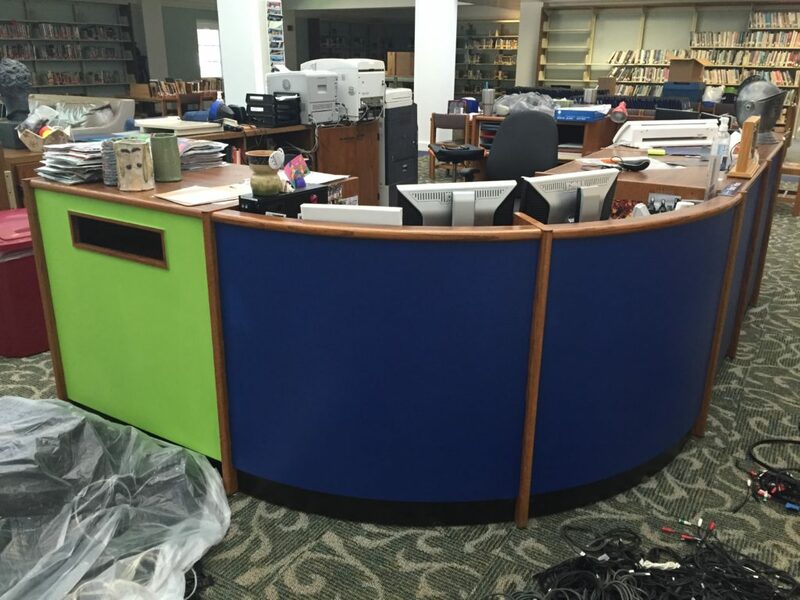 I wanted to do something fun with the HUGE circulation desk staring you in the face when you walk into the library. 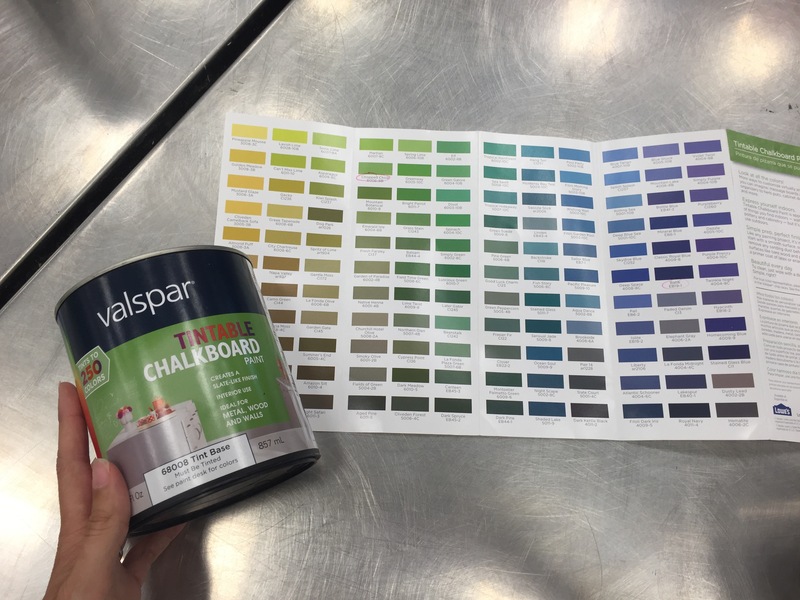 Valspar makes this cool Tintable Chalkboard Paint that you can get in tons of colors! The guy at the hardware store recommended that we print with a bonding primer. After two coats of the primer, we were ready for color! The blue is one of our school colors and the green matches some of the furniture and gives a fun pop of color. Again, the paint took two good coats plus more touch up. We let it sit for several days so it would be fully cured. Then we primed the surface by coloring the entire surface. This was messy and made the surface not look perfect and clean like it does above, but otherwise when you start drawing on the surface, you’ll have ghost shadows of old designs. I read this blog post on Ella Claire Inspired by Vintage Charm to better understand this chalkboard paint situation. After it was all cured and primed, my mom and I got to play around with the chalk! 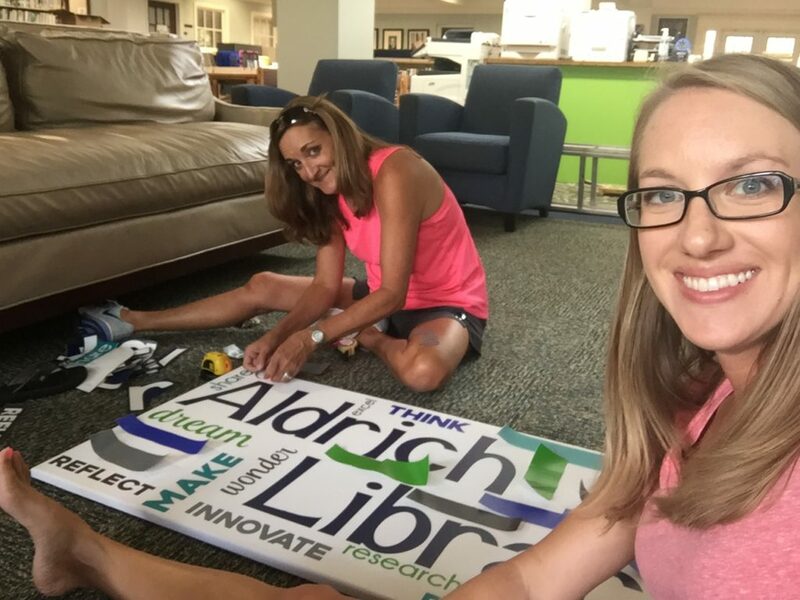 Another fun project was the library word cloud. I love using vinyl to create word clouds and wall quotes, but the area where I wanted to hang this was a little high. Instead of applying the vinyl directly to the wall, we bought a canvas and applied the vinyl to it. I was really happy with the result! You can see it below hanging in it’s proper place. 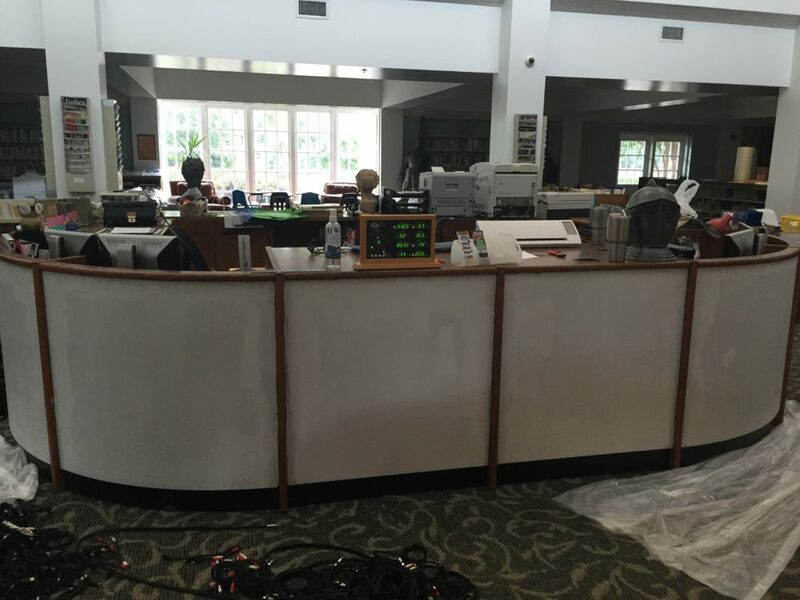 I’m feeling good about the changes we’re making in the new library. As always, it will be a work in progress for quite some time. I’m very excited about the upcoming school year! Last week at CMS was a very emotional week. The last day for students was Wednesday and teachers wrapped up their year with the annual crawfish boil celebration on Friday. I’m thankful that I’ve attended all 9 of the CCSS end of the year crawfish boils so far and I’m sad to part ways with a district that I love. After a very busy weekend, I started my summer with a quiet (okay, I did crank up the music since I was by myself) and very busy Memorial Day Monday at Episcopal in my new library. I have the very ambitious goal of starting off the new school year with the fiction section fully weeded and genrefied. With the amount of traveling I’m doing this summer, this is a lofty goal. After two full days of hard work, I’m exhausted but optimistic. Here are some pictures I snapped yesterday, before I got started and then during my initial steps of weeding and genrefication. Like I said…I’m tired after two full, nonstop days of work. But I still wanted to share some early thoughts in my second library to genrefy. I do have to say, this is easier the second time around. A massive weeding of a new to you/older library collection is daunting. I’m trying to take this project on much more quickly than I did the first time, and that definitely adds to the stress level. I do have to say, though, it’s manageable when you approach with the idea of weeding when “books that haven’t moved since I graduated from high school are GONE…books that haven’t moved since before I was born are WAY gone.” None the less, it’s daunting to cull such a large collection so quickly…but definitely possible and not unreasonable! It’s also easier to genre tag when I’ve been there/done that. I’m going to write in greater detail later about the details of selecting genres, as that’s something I’m asked about frequently. Knowing my previous collection as well as I did, I’ve been able to draw on that knowledge as I work with and get to know this new collection. I have two more busy days ahead of me before I leave this Friday on my annual road trip with my BFF. I’m so thankful that my #1 volunteer (my mom) is helping to push me through this project. I am so excited to see this project through and keep working towards an amazing start to the 16-17 school year. Stay tuned for the next update! You’re going to love it here. This school, this library, these students, these teachers…it truly is an amazing place to work and I hope that you’re as happy and fulfilled here as I have been these past five and a half years. I’m going to go ahead and apologize now — there will be things in this library that make you wonder about me. You’ll wonder WHAT I was thinking, why did I decide to do this that way, why didn’t I make such and such a bigger priority. As someone who has taken over two libraries already in my career (and as I move on to another), I know these things will cross your mind. Just know (like I always have about those that came before me) that I tried my best and did as much as I could as best I could. A librarian’s work is never done. The library is never perfect. There are always unfinished projects (I’ll tell you about those later). Just know that everything I’ve done here, every choice I made, was driven by a desire to make this space the best possible environment for my students and teachers. I tried not to make this library about me (okay…the pink book cart was definitely about me…it’s an exception, though), I’ve always wanted it to be about the kids. Over the years I’ve learned that relationships are what make or break a school library program. The great thing about this school is that strong, working relationships are expected — they are the rule, not the exception. The teachers here (especially the ELA teachers) will expect you to be one of their go-to people. This is not an easy thing to establish, so I hope you will love it…and run with it! Spend time getting to know the faculty members here — they are a great group. They’re willing to try new things and let the librarian be their partner in teaching. Take full advantage of this and don’t allow it to change. Students at CMS are READERS. You will have some great book conversations with students and it will be amazing. Get to know the collection, get to know the students, and help get books in the right hands. This library is NOT full of pristine books on tidy shelves. Once the school year gets cranked up, the shelves don’t look super full and the books look more and more worn…but it’s because they’re reading, so it’s a win. One of the things I’m most proud of in this library is the organization of the books — known lovingly as genrefication. The fact that my spell check recognizes it now as a word is a testament to how passionate I am about it. Ditching Dewey was never about me — it was about the students. They’re able to find the books they’re looking for easily. This layout is based on the idea of browsing. The signage is key (as are the stickers). In this space, students are able to find their reading “home”, explore new interests, pair fiction with nonfiction, discover new authors and series. They use the word genre often (and they understand it). I’m sure it will take a bit of getting used to, but I HOPE that you will love it as much as I do, as much as the kids do. 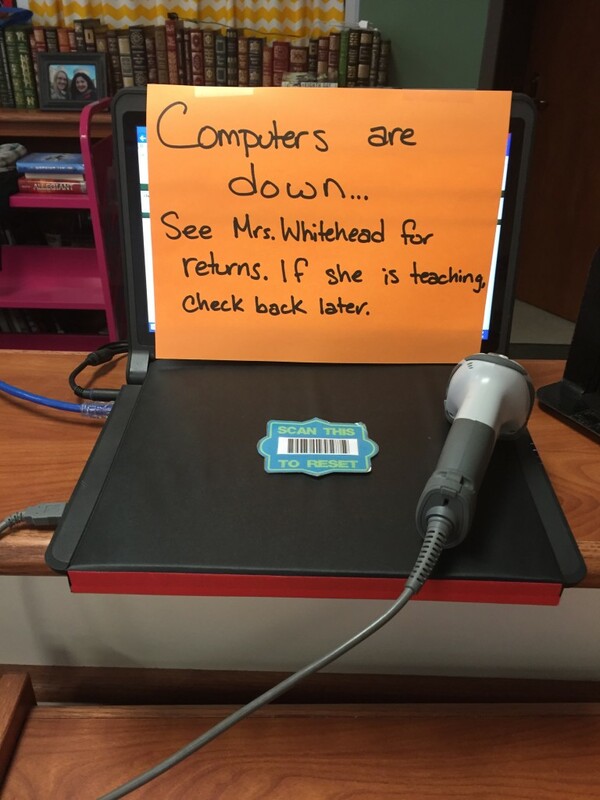 Self check-out is another big way that I’ve made this library “theirs.” Students definitely feel more ownership of the library when they’re in charge of checking in and out their own books. Maybe even more importantly, it freed me from the circulation desk. Instead of constantly running to the desk to check out books for students, I’ve been able to teach classes and work one-on-one with students while the library remains open for others to be able to check out and return books as needed. 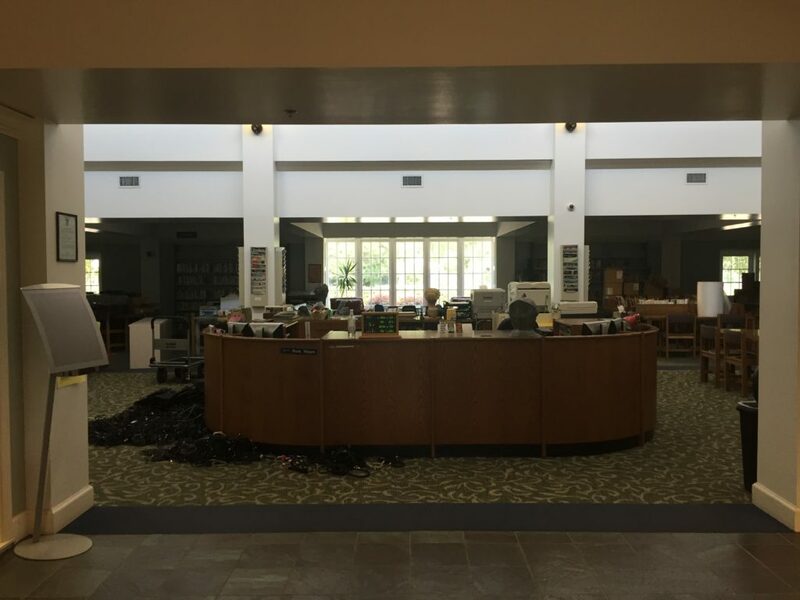 Sure, I know we lose a few books due to this process throughout the year (although I’d also argue that we were losing books before, too, when I was too busy to watch over the circulation desk). Ultimately, this helped me to accomplish the goal of making the library constantly available for book business while I could still work to be an instructional partner for the teachers. The biggest key to self check out success is PROCEDURE, PROCEDURE, PROCEDURE. The best thing about the library — and about teaching middle school — is that every day is different. There’s never a dull moment, there’s always something to be done. Enjoy what you do and laugh often. Take time on a regular basis to reflect on your successes (and your failures). Set goals to continue to push this library and this school on to bigger and better things. You’re going to be great at this, and you’re going to love it here. I am thrilled to finally share the news of a big change that is on the horizon. Next school year, I will be the upper and middle school librarian at Episcopal School of Baton Rouge. Friends and family who know me well have been a bit shocked by this news, as they know how much I LOVE my students, faculty, and library at Central Middle. It was a difficult decision for me, but in the end I knew this was an opportunity that I would regret passing up. Change pushes us out of our comfort zones and forces us to grow and adapt. 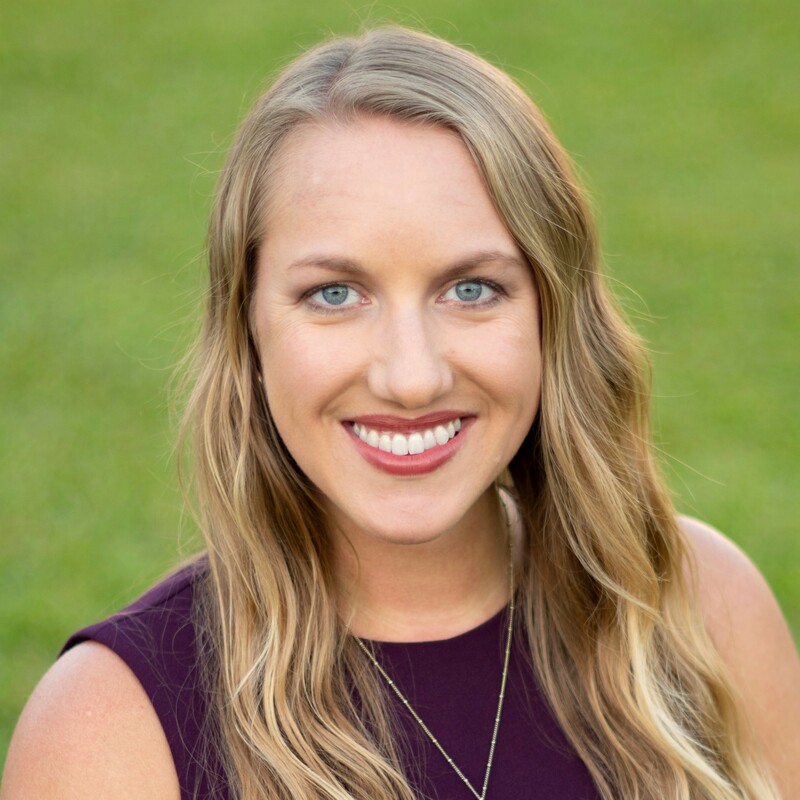 I am anxiously anticipating the professional growth that I will experience in the coming years as I work with the incredible students and faculty at Episcopal. As eager as I am for this new adventure, it is bittersweet. During my five and a half years at CMS (and nine years in the Central Community School District), the library program, the reading culture at our school, and the use of technology have come so far. Genrefying our library has helped increase circulation tremendously and self check-out has given the ownership of this space over to the students. I’ve developed relationships and professional partnerships with so many of the amazing faculty members here, and I know I wouldn’t be where I am today without their support, encouragement, and willingness to work with their crazy librarian. Of course it’s going to be difficult to leave behind my students that I’ve made connections with through our mutual love of reading. 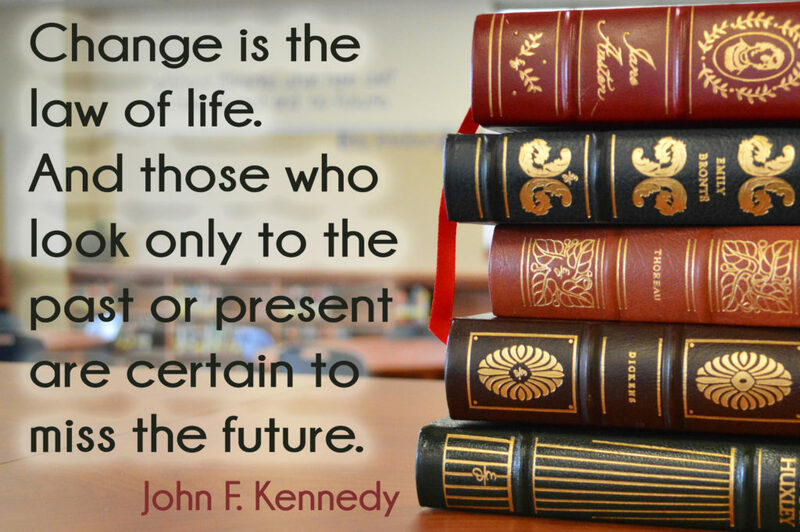 I am so proud of the library and school that I’m leaving behind, and I know that there are many great things ahead for the library, school, and entire district in Central. The next year will be an exciting one — full of changes and new experiences. I’m looking forward to building relationships with a new faculty and group of students. I will be working with students in grades 6-12, so high school will be a new adventure for me. There are already some great projects in the works for next year that I’m looking forward to — I know it’s going to be a great year and I can’t wait to share all about it. Bringing my past library experiences and knowledge to a new setting is going to be a lot of fun! 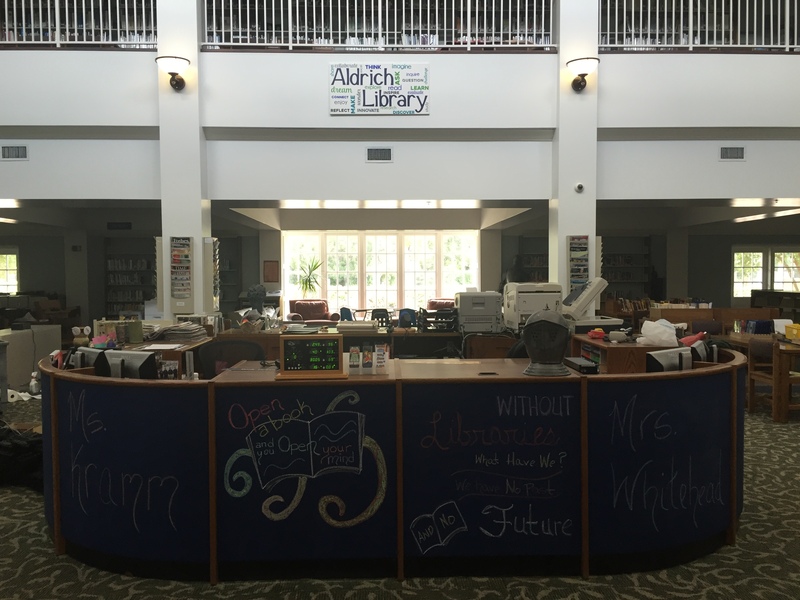 Look for many blog posts as I make the transition (and start the process of genrefying another library)! I know that all educators have strong feelings about standardized testing. No matter how we feel about the upcoming test (and I will say I’m thankful that this year we’re spending FAR less days testing! ), our CMS faculty tries their hardest to make the best of the situation. Every year for the past four years, we’ve released a teacher music video immediately before testing. I’m so excited to share this year’s video…and revisit our previous ones as well! I’ve served as the main planner, videographer, and editor for our videos for the past several years. This year, I passed the torch along to our awesome speech teacher, Leslie Pierce. She did such a great job pulling this together, along with the help of my BFF and ELA teacher, Alaina Laperouse, and our band teacher, Thomas Huckaby. We want the world to see this video (and how awesome our CMS teachers are)…so please share it out! We REALLY would love for Rihanna to see it!! I love this tradition so much! It helps us bond as a faculty and make GREAT memories…and of course laugh at ourselves and have fun. We are middle school teachers, after all! Do you have an awesome, fun teacher tradition at your school? I am absolutely, positively obsessed with Breakout EDU! Although I’d heard about this and briefly looked into Breakout EDU a few months ago, a fire was lit within me when I played at the MiniLACUE conference a few weeks ago. Immediately upon playing my first game, I knew this was something I HAD to do with my students. I couldn’t wait the 3-4 weeks that it was going to take if I ordered a box through Breakout, so thankfully they have an open source kit and I have a handyman husband. Within a few days, I had acquired my box and become obsessed with locks. Being the crazy person that I am, I couldn’t just use an already developed game…I had to create my own. I planned to do this game with my 6th grade ELA classes, who were working on a unit about the gold rush. I tested it out with my teachers and with a group of 8th graders who hang out in the library at lunch. 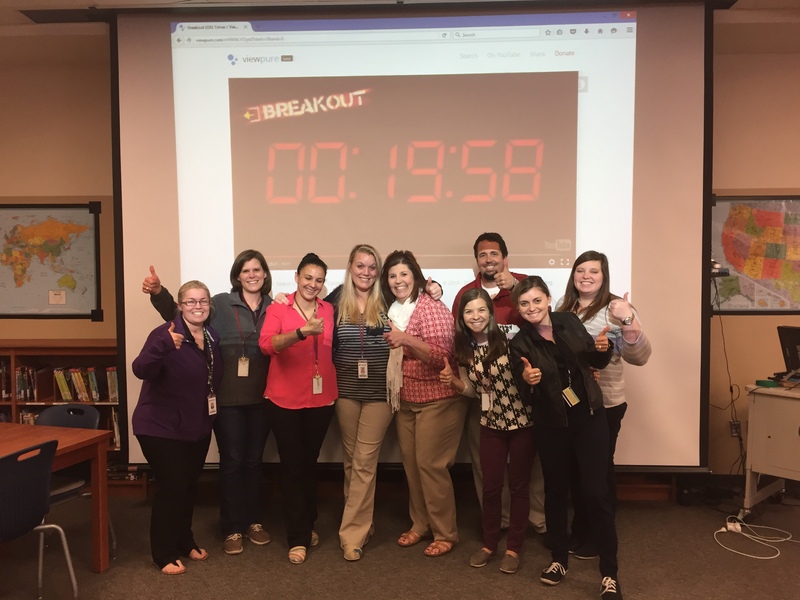 The teachers broke into the box with almost 20 minutes to spare! Even though my 8th graders didn’t have time to finish, they had a BLAST trying to break into the box! Of the fourteen 6th grade classes that played last week, only one was able to break into the box. This is an AMAZING social experiment to watch (but it’s SO HARD not to help them — or want to beat your head into the wall when they pass over an important clue)! The class that broke in communicated effectively, worked together, and demonstrated a great deal of persistence. These are skills that I’ve noticed MANY of my students are lacking…and it’s something that we have to help them develop. 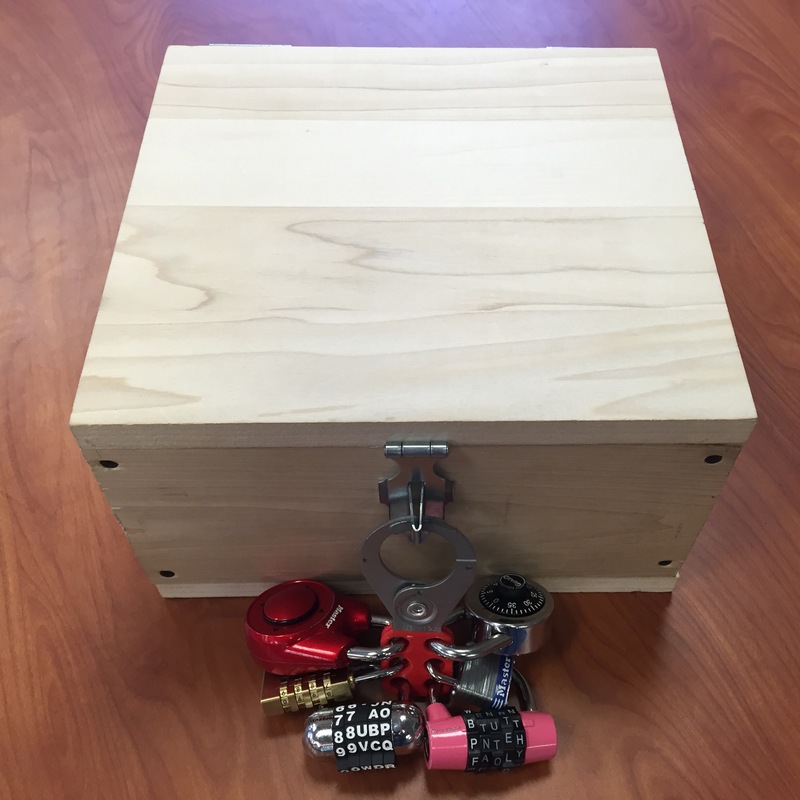 Breakout EDU is an amazing way to give them practice with these skills. 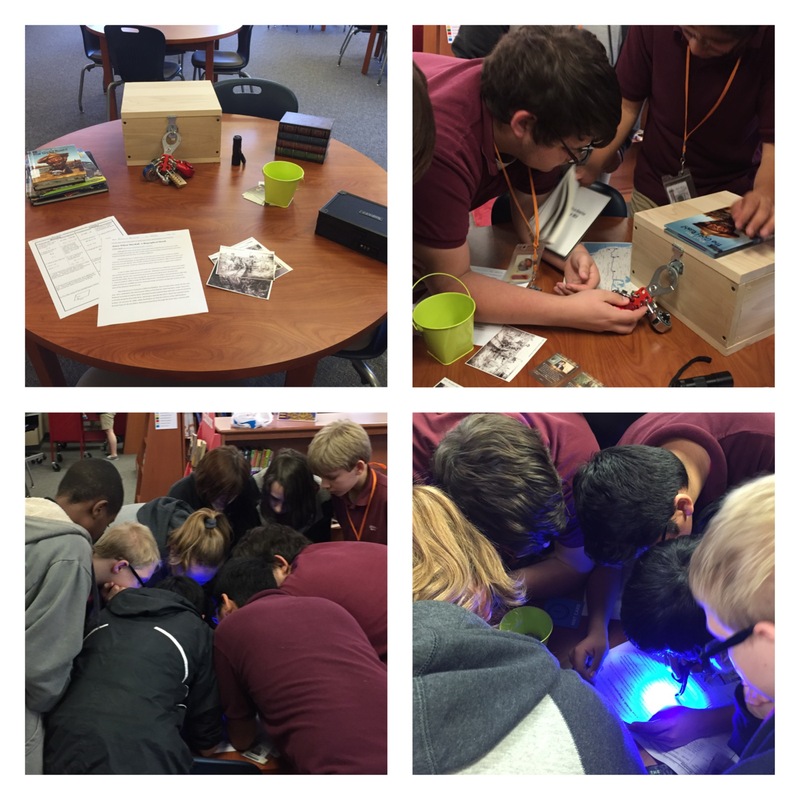 Breakout EDU is so engaging. It’s such a fun way to get students problem solving and working collaboratively. Get a box! Play a game! Share it with your teachers and students…I promise you won’t regret it! In my school (and also in the four other schools in my district), the Internet has been going down regularly for four weeks. 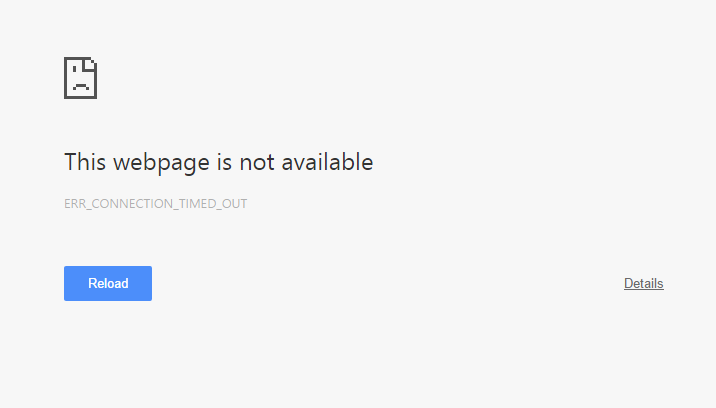 Every day (except for one lucky and glorious day) for these past weeks, the Internet has been down more than it’s been up. Things that are housed on our own servers (such as internal email and thankfully Destiny, our library management system) have stayed functional most of the time. The wifi, though, is down most of the time. Did I mention that we’re a 1:1 school? For weeks, our students have been carrying around their laptops, hoping they might work for a very short time during the course of the day. Those of you in schools can imagine the chaos this creates in learning, teaching, planning, collaborating, grading, communicating, and every other aspect of school life. Those of you not in the field of education are probably scratching your heads, thinking, “How is this even possible?” In the corporate world, this would not happen. Plain and simple. I’m married to an IT guy, and I know that if this happened in his office, he would have been out of a job weeks ago. The company would have immediately done whatever it took, brought in outside resources to fix things, and return to business as usual. Why is it okay in education? Why is it okay for our students and our teachers? We are constantly hearing stories about terrible conditions in schools, about lack of funding and lack of resources. We’re also seeing great teachers leave the profession because of the conditions, the frustrations, the general lack of respect — and you honestly can’t blame them. Obviously, I don’t have the solution, but something’s got to give. Unfortunately, I can’t even get an answer as to why our Internet keeps going down after four weeks. And it’s really not okay. We’ve been planning for quite some time to implement a cross-curricular research project with our sixth graders. This year, the project has finally come to life. Over the summer, all of our incoming sixth graders were required to read Wonder by R.J. Palacio. All of the content areas started the year using the content and themes from this book as an anchor. If you’ve read this AMAZING book (and if you haven’t, go read it RIGHT NOW! ), you know that the students participate in an Ancient Egypt project. We decided to borrow this idea from the novel and plan our research project around it. 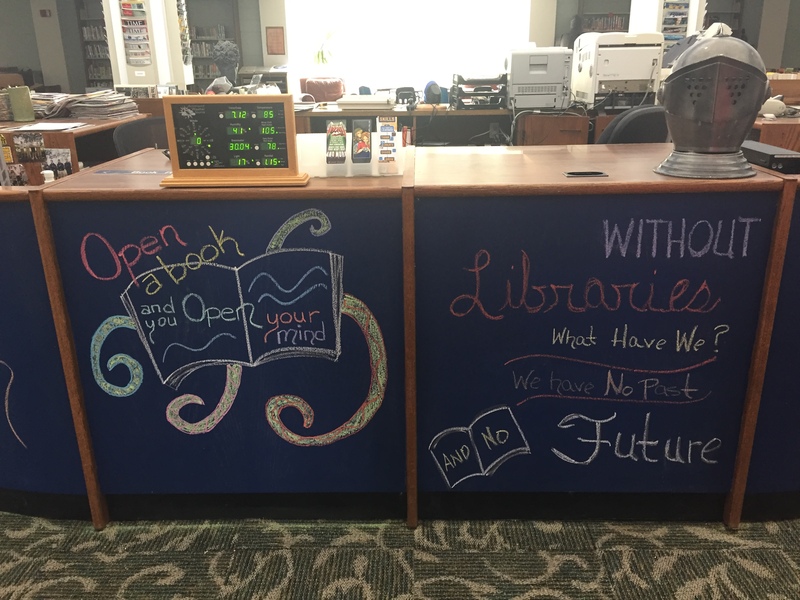 This project has been quite the undertaking — a collaborative work between English Language Arts classes, Social Studies classes, and the library. The project began in October with two back to back library visits, one with their ELA class and one with their Social Studies class. Students selected one of the books from MackinVIA and worked with a partner to evaluate one of the ebooks. I thought it was important for them to become familiar with key elements they would need for citations. I also wanted them to get used to navigating the ebook format and the available features. Students turned in their final drafts to their ELA teachers right before holiday break. This week, students returned and are now beginning to prepare for their presentations. Students are visiting the library again with their Social Studies classes. 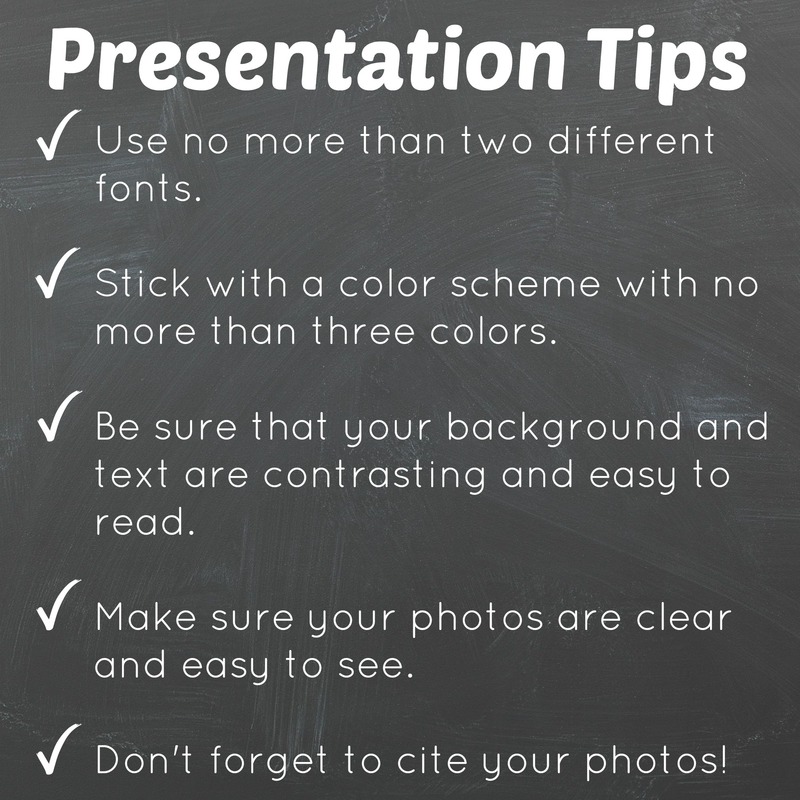 I’m doing a mini-lesson on creating visually appealing presentations, providing them with some PowerPoint tips and tricks, and instructing them to cite their photo sources. They are working to prepare their PowerPoints in their Social Studies class this week. Next week, ELA teachers will help them script their presentation and they will begin presenting to their classes. 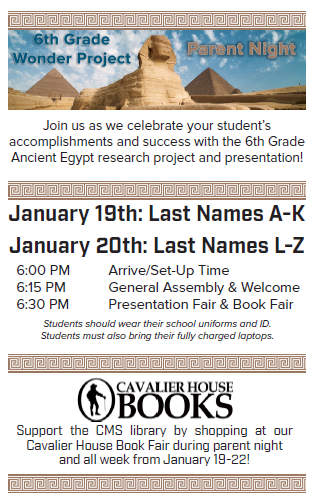 The following week, we will hold a Parent Night (which will coincide with our Book Fair…YEAH!) 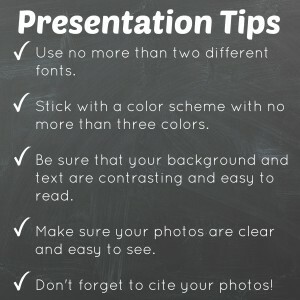 for students to share their presentations and celebrate their success. This project has been a massive undertaking, but a success so far! I am so excited to see the final products that our students create. This is such a well rounded, research based, cross-curricular project that I hope will be part of the 6th grade curriculum for many years to come. I have really enjoyed working so closely with the amazing 6th grade ELA and Social Studies PLCs in my school to make this project happen. I feel like it’s teamwork and collaboration at its finest! Since we’ve been back to school this year, I’ve spent a considerable amount of time assessing our collection and planning for improvements this school year. At the end of last year, I ran some reports and compiled some data that kind of surprised me. I would never say that using and leveraging data is a strength of mine; I work more in terms of if things “feel right.” We all know that administrators speak and listen in terms of data — and mine is no exception. 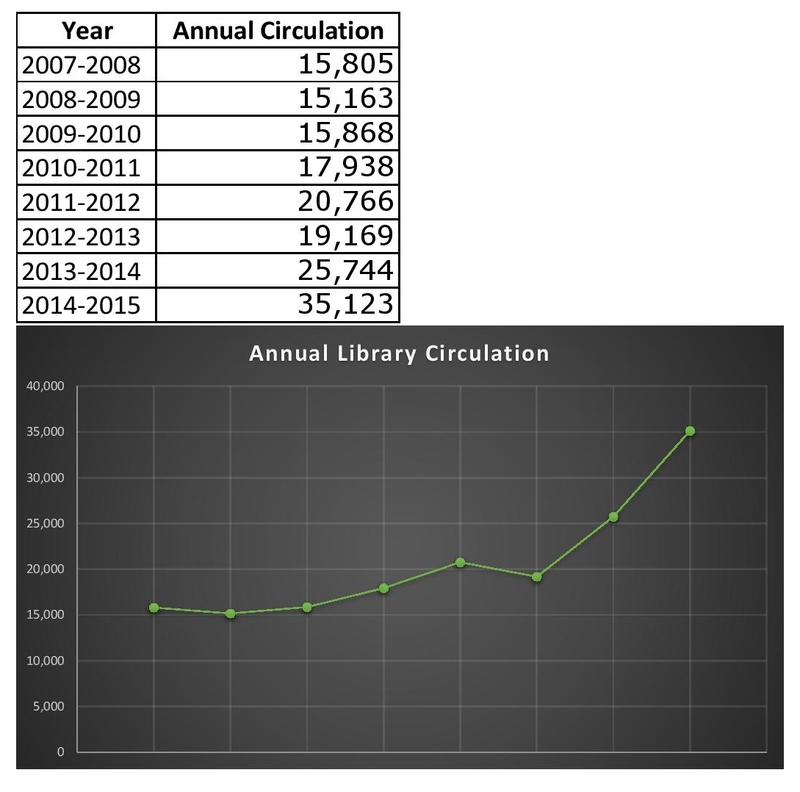 When I looked at annual circulation reports at the end of last year, it was obvious that our circulation has risen dramatically over the last several years. The year with the “dip” was the year of our move from one campus to another, so that was a year of major transition and I understand that trend in the data fully. I attribute a great deal of our circulation increase to both genrefication and implementing our self check-out procedure. Right before our move, I finished the process of ditching Dewey. That process included EXTENSIVE weeding of our collection. Since then, I really hadn’t done much weeding. When books were returned at the end of last year, I noticed that our collection was starting to look a little sad. These books are circulation often and being read by many students. After the first rounds of library visits and book check-out this year, the shelves were just looking sad. Our students are readers, as evidenced by our circulation numbers. I also knew that quite a few of the books left on the shelves hadn’t moved since we did back in 2012. Once again, it was time to weed. I let my principal know that our collection would be needing some funding to help bring it up to a higher standard. He knows that circulation is up — he’s seen the data shown above — but he wanted a more formal assessment of our collection and a plan for moving forward. First I weeded. And weeded. And weeded. Nonfiction — easy. Fiction — a little more painful and personal. If a book hadn’t circulated in over three years (unless I knew it had potential tie in to curriculum, special interest, etc. ), was in poor condition, or had otherwise outdated information, it was out. I weeded just over 1,000 books, bringing our total collection copy count to 8,614 after weeding. Our collection is very small compared to our student population (just at 1,000 students), but I don’t see the point in having books that aren’t being read. After the weeding was complete, I started to look at my numbers. 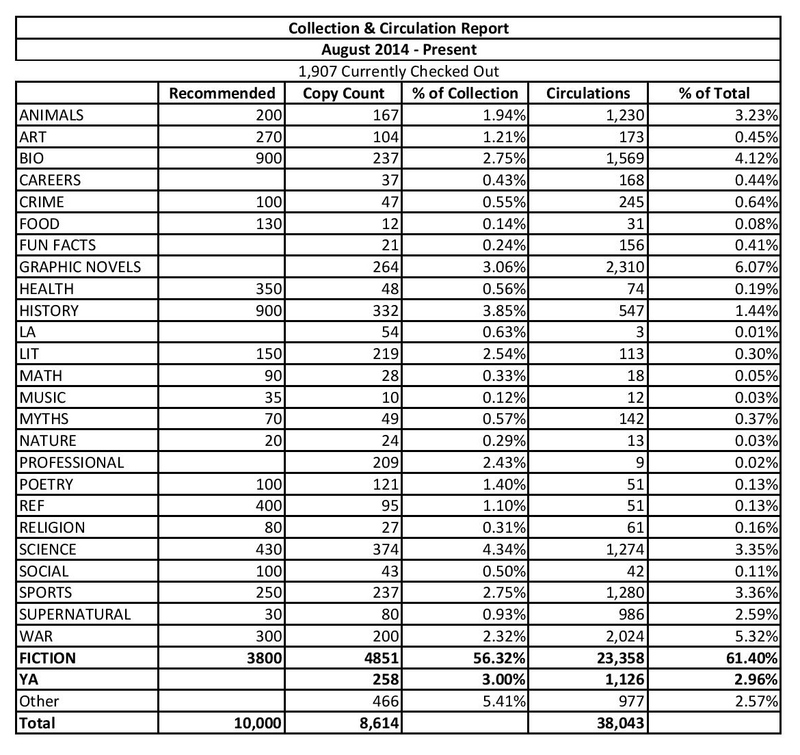 I uploaded our collection info in Mackin for collection analysis. Since we don’t use Dewey, this gets a little iffy and the “recommended” numbers don’t necessarily match up to my categories. I took that analysis and made the “recommended” column to the best of my ability. The other columns show what we have — copy count for each category, percent of circulation, circulation numbers, and the that category makes up of total circulations. I was able to gather this information from a Collection Circulation Report (Summary Only) and a Collection Statistics Summary Report in Destiny. Then, I looked more closely at the sections that had a higher percent of circulation than the percent it made up of the collection. These are the sections that would be the main focus for new purchases. 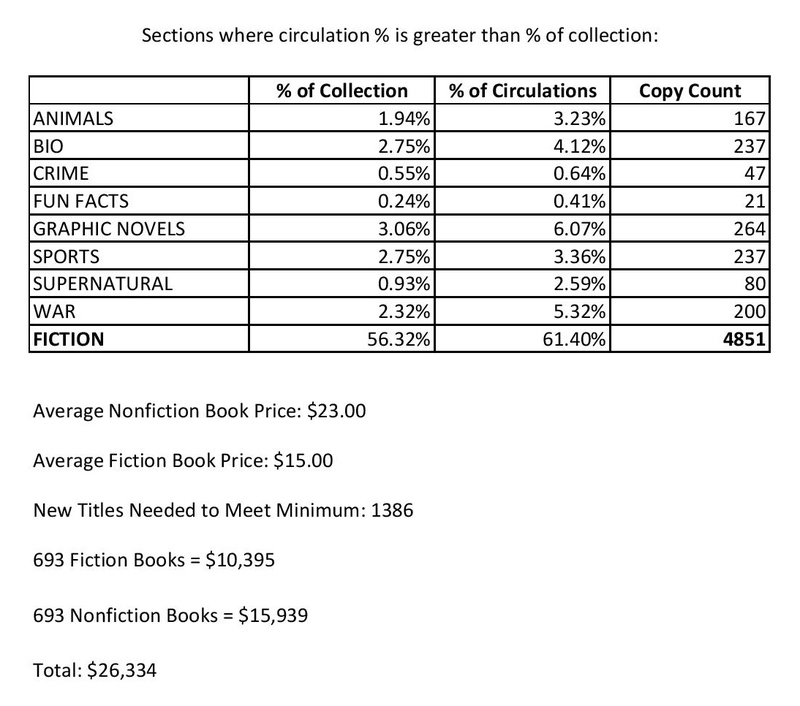 I looked at the average of what I usually spend on nonfiction and fiction books when ordering. I also based our need on having 10 books per student — which would bring our collection to 10,000. These numbers aren’t exact, but an estimate so I could have conversation with my principal about finding funds to help us improve our collection. My principal was impressed with the data (speaking his language makes a difference) and we are working on finding funds to help us fill the gaps in our collection. I’ve been working on lists, building one for each category so I can look more closely at what is being spent on the different genre sections. I’m excited about the potential to grow and expand our collection this year! Also, through the process of weeding and assessing the collections, I did a little re-arranging of genre category locations in the library. I moved some books to different genres. I reorganized some of the nonfiction sections and the graphic novels. And I finally decided to make a permanent Humor genre in fiction and pulled books from a number of categories to build it. It’s been a busy start to the year, but a good one! Every year, I like to have a guiding goal to focus my practice and teaching in the library. Trying to consciously focus on doing one thing really well throughout the year helps me to push myself and make our library great in that specific area. This year, I’m going to put a of focus on making connections. With my students, I plan to do more connecting via Google Hangouts. Mystery Skypes and Virtual Book Talks are always so much fun, and I plan to incorporate them into library activities as much as possible (if you’re interest in connecting your students with mine, please let me know!). I also want to use Google Hangouts to connect students with authors and experts that relate to what their learning about in their core classes. I plan to make an effort to do more collaborative planning with my ELA (and hopefully other content area) teachers. For the past several years, I’ve put myself on a pretty fixed schedule to see my ELA classes on a regular basis (every other week for 6th and 7th and every third week for 8th). I did a lot of lessons and activities on digital citizenship, Google search lessons, and activities to connect students with books during these visits. With 40 ELA classes, this pretty much filled my schedule. We have added five more ELA classes to the mix this year, I was struggling to make a schedule that would work. I’ve decided to have regularly scheduled monthly library visits for all ELA classes. The rest of my schedule will be filled by visiting PLC meetings and planning lessons and visits through those connections. With self check-out in place, students are able to take care of circulation business all the time, which makes me okay with the idea of classes not visiting so frequently. We had our first event last night and I was so excited to see some of our new and old CMS faculty members show up after the first EXHAUSTING full week of school. I think these events are going to be a great way to help our teachers — especially those teaching different subjects/grade levels who rarely see each other on our large campus — build relationships and feel valued in our school community. 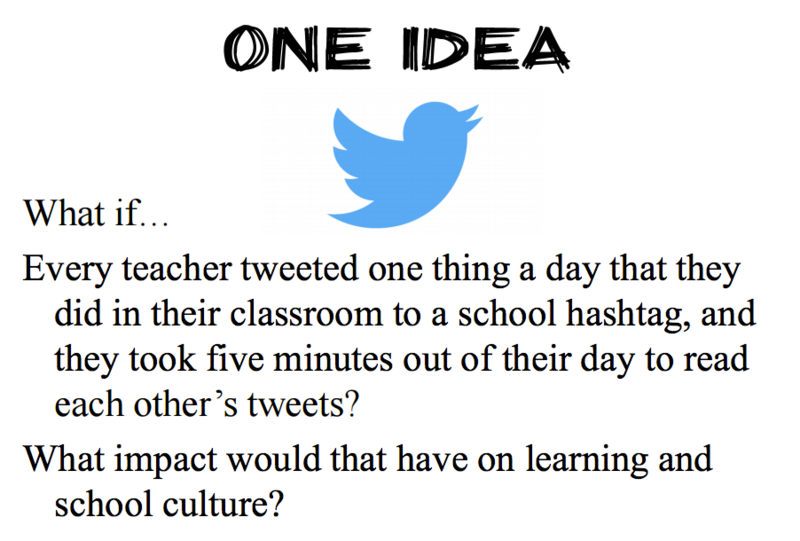 We are using the hashtag #CMSdaily to share what we are doing in our classrooms and discover what’s happening around the school. It’s been so much fun to see what awesome activities are happening around campus and I know this is a great way to start conversations and sharing between our teachers. I cannot wait to see what’s in store for this new school year!